In celebration of our 5th Birthday this week, we're featuring an Agent who has a unique story about how Field Agent influenced her to become an entrepreneur. Lori Brooks, business consultant and owner of Technology Equals Equality Podcast, interviewed our very own Rick West and will feature him in her podcast that highlights entrepreneurs and their stories. We wanted to venture on the other side of the tracks and interview Lori about how she got started and how Field Agent assisted her in finding the answers to her problems. Field Agent: Lori I just want to thank you again for interviewing Rick West, our CEO, several weeks ago. I thought it was really great. The podcast you have is interesting, and you always have great speakers on there. I went through and discovered there's actually a lady named Shauna on there. I thought it was neat. I remember you talking a little bit about how you started using Field Agent and how it influenced you. I want to get your background on where you were before you started your own business. Also, how you used Field Agent, and then what happened after you used Field Agent. Lori: Certainly. Rewinding pre Field Agent, I was actually working full-time as a financial services associate rep. In other words, I was licensed, but I wasn't working in the sales department. I'm not big on the sales side of things. I'm much more of a back end type of person. I was more support personnel for a lot of financial service agents. In 2009, I actually became quite ill. We couldn't figure out what was going on. It took about six months to finally diagnose what I was dealing with, which turned out to be Crohn's disease. As you can imagine, I used up all sorts of sick time and vacation time. There was just no time left over whatsoever by the time we figured out what it was. It wasn't small or something that we were going to immediately fix. You know, this is now a lifelong balancing act. The advisors I was working with at that time decided I should go on a medical leave for the time being until I figured out what I was planning to do next. I'm not sure if you are familiar with anyone who has the disease, or if any of your audience is familiar with it. Unfortunately, Crohn's disease is an intestinal disease. It's really associated with the digestive tract. It's a stress-induced illness. I was pretty much overworking myself at that point in life for a number of different reasons. When I went on the medical leave, I was out of work for approximately a year and a half before I ran into the Field Agent app. Field Agent: Are you an early adopter? Would you consider yourself an early adopter? Lori: Very much so. I think I got my first cellphone at the age of fourteen. Way back when Omnipoint was still a service provider, if any of you still know that name. I'm aging myself a little bit there. I used cellphones and computers for multiple years, just on a personal use basis, but I never really employed it into anything business related. It was all just kind of surfing the web and checking emails, things of that sort. When I ran into the Field Agent app in late 2010, I want to say early 2011, I was really searching for a way to make money with the massive amount of electronics sitting around my house. It had gotten to the point where we really lost a good portion of our income. As you can imagine, a year and a half of being out of work, we do have a child, and even though my husband was working, it was a two income household prior to my becoming sick. So, I'm browsing through the app store and ran into Field Agent. I just thought it was the most fascinating idea. There was actually a way to very easily create cash with an app from the cellphone. Then you are able to cash out, as you guys have created, through PayPal, within 24 to 48 hours. Of course as I mentioned to Rick in the interview, we're not talking lump sums of money. But at that point in life, you know 2009/2010 was right after the financial collapse, there were a number of people dealing with the financial stress. Field Agent: You had two things on your plate – the crash of the economy and your illness. Lori: Right, so we were looking at the situation from two different platforms. The economy itself, but then to have an entire half of our income disappear, was a big change for us. During a year and a half of having no income, we went through every drop of savings, as you can imagine. It was now beginning to dip into this account, dip into that, and no longer have the cushion we once had, or the ability to maneuver in the way we were once able to. It really was due to severe stress, which is the funny part, because as I begin interviewing so many different entrepreneurs, that's what I'm hearing. And I'm sure you are realizing this too. A lot of entrepreneurs get to a point of stress that motivates them enough to begin looking for a different avenue than what they are pursuing currently. Lori: Field Agent, for me, woke me up to that different avenue. It was like a light bulb went off. You know, it was like, "Oh! You really can! It's not a myth!" Of course, at that time, I had nothing but time. What I did was I sat down with the app, I looked at the different jobs that were available at the time. For those who are listening who have never used the Field Agent app, the jobs are simple quick little surveys, and they're not rocket science. It's really just making sure you read through the concepts that are given to you, answering the questions fully, snapping a couple of pictures, submitting the info, and then Field Agent approves or denies and sends your payment through PayPal, within 24 to 48 hours. 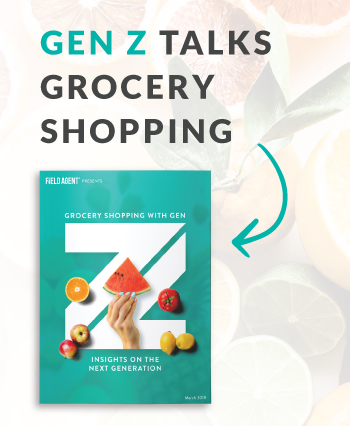 For big data companies who are looking for the info, the app really provides this ability to have eyes and ears across the globe, everywhere a smart phone is at any time so you can understand what your customers are looking for. You know...your audience. How your products are being displayed, how they are not being displayed. It's just this revolutionary idea, and when I saw the app and began using it, like I said, it was just this giant light bulb that went off. We were super excited. We mapped out a couple of different jobs that were there, and I think in a matter of two hours one day, I went out and was able to create like $40 to $50 bucks just going to CVS/Walgreen's type little drug stores and so forth. But I mapped it out in a route, so I was able to hit one store after another, after another. It was the most amazing thing I had pulled off with my cellphone – ever! Or any of the technology I had in my house ever. That, of course, got me to thinking, "Well the web is clearly not just for big businesses. It's really not." You can start with something as simple as an app and be motivated enough that you can make five or six bucks here or there. In a month, you can easily create the cash to go grab a pair of shoes that you've been drooling over. You know what I mean? Lori: It's that change, or a purse. It's the little extra motivation that the app is able to provide to the users that was really astounding to me. What I've done since finding the app and using it is to really begin thinking about other avenues, and other ways people were creating their own wealth through the web. In doing so, researching company after company, that's when I ran across several podcasters, which sparked the idea for the podcast. Field Agent: Were you always interested in interviewing people and journalism type roles? It wasn't really something that was a passion that I was aware of. Mainly because I had not had the exposure to being in the space of hosting, or podcasting, or interviewing, or journalism in any way shape or form. It was never something that was a highlight for me. I actually majored in finance and accounting, and studying for my CPA, so nope. Field Agent: A lot of numbers. Lori: Right, the two worlds kind of collided. Like I said, building my business online, I began consulting financial service agents in the operations and procedures field, so that I could no longer be sitting at home trying to figure out something else to do. I figured, let me begin building a little website up for myself, and try to begin gaining customers. From there, it was the evolution of the business itself and doing the research and learning about the podcasters who were out there, that I began falling in love with podcasting and chose to launch the podcast. So it's really, now become my passion. Field Agent: Yes, that's awesome. Lori: What I'm mentioning in the blog piece that I'm doing it – it's funny, although I love all of my clients that I work with in the consulting business, I'm so passionate about the podcast itself – I am now looking to find ways to pivot the business fully online. Podcasting was one of the best avenues, I felt, in doing so. Field Agent: That's great. So, I know your podcast. 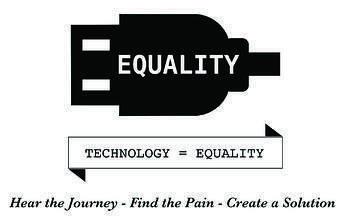 Your website is called Technology Equals Equality. Can you explain a little bit of the background? Did it start with what you said before about how you had all this technology in your home and how you make money with it? Then Field Agent was sort of the answer to what you were thinking, and then you kind of turned it into your own podcast and business here where technology equals equality. Lori: Certainly. You hit the nail on the head, Shauna. Technology equals equality. That's exactly what it's for. Like I said, I had so much technology sitting around the house, and I had this huge problem of trying to figure out how I was going to use the technology to create a new avenue of income for the household. Through that, I was able to solve my own problem by building up the website for us. We've been in business for a couple years now. The business is going strong, and like I said, it's more now looking for a way to shift from trading my hours for dollars, to more of a value approach and being able to help more people by being web-based. The show's theme is to share the journey, find the pain, and create solutions. During the show, I kind of talked to my guests about their journey of their start up. What it was that motivated them, what it is that they found to be the most difficult pieces of their startup. How they felt technology either inspired or assisted them in their startup, and then we kind of delve into the pain. We try to delve into the operational issues on a day-to-day basis as to what it is that the entrepreneurs themselves, or the CEOs of different companies are struggling with to help the audience come up with new business ideas, because sometimes you may have the time to create the business, but you're just stuck and can't figure out what it is you want to do next. You may even be an experienced entrepreneur who creates businesses all the time, but you're looking for that next big idea. The show is derived really to help those who are looking for that idea. Because I think one of my biggest headaches was coming up with the idea of how to change things. It wasn't that I didn't know what I wanted to do, it was more like, "Okay, well how do we go about accomplishing that," and sparking that idea. So the whole point of my show is to really help people spark ideas for their next business. Field Agent: That's great, and I'm so happy that we were able to connect and you were able to interview Rick. I'm happy that you got to share your story, because I think that's just such a strong and compelling story for any entrepreneur. You had two things going on with yourself, your illness and then the crash in the economy, and then you kind of just built your own business and made it your passion. I think that's really awesome. Lori: Thank you. It really was a transitional period of figuring out my passion. That's another really difficult week for people. If you're knee deep in the slush of everyday life, if you aren't really focused on what it is that makes you happy, and you don't take the time to figure that out, building a business is something that's that much more difficult because it takes a lot of work. It really does take the energy and the effort, but when you have that passion – I'm sure you know, and multiple entrepreneurs have told me time and again – it's really not work. You're just having fun. I absolutely love having the opportunity to speak with the other entrepreneurs and hear the story of how they started, and I truly appreciate the opportunity to share my story of how we started because it really was one of those moments of a light bulb. It was thanks to the Field Agent app, so I don't know if I've had the opportunity to mention it to you. We've created an eBook, which includes the Field Agent app as one of our ways to make five dollars online. I think that's one of those things, just kind of demystifying the online process and sparking that idea for the average person who doesn't think that making money online is a possibility. Field Agent is an easy way to go about doing so. It's an easy way to prove it to yourself, and more so than anything, motivation is what's needed to start. I think that the app itself really provides that whole-heartedly. Thank you guys over there. 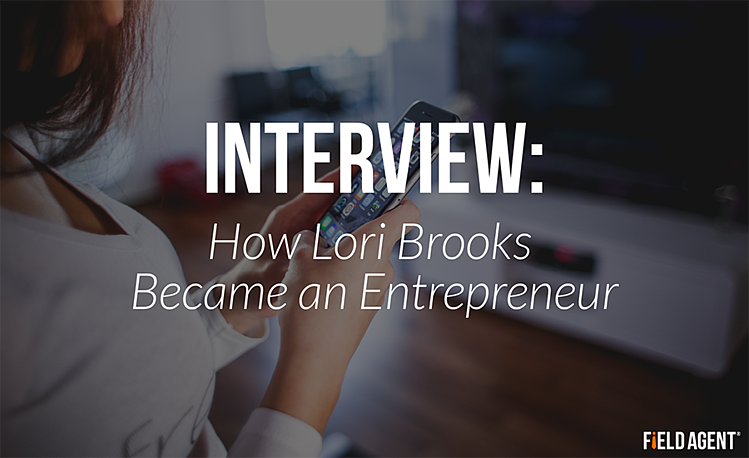 Lori Brooks is one of many agents who has a unique story to tell. Please share your Field Agent story in the comments below! Click here to learn more about becoming a Field Agent and download the app for Android and iOS. Interested in seeing how we use data we collect from Agents? Download the whitepaper below.